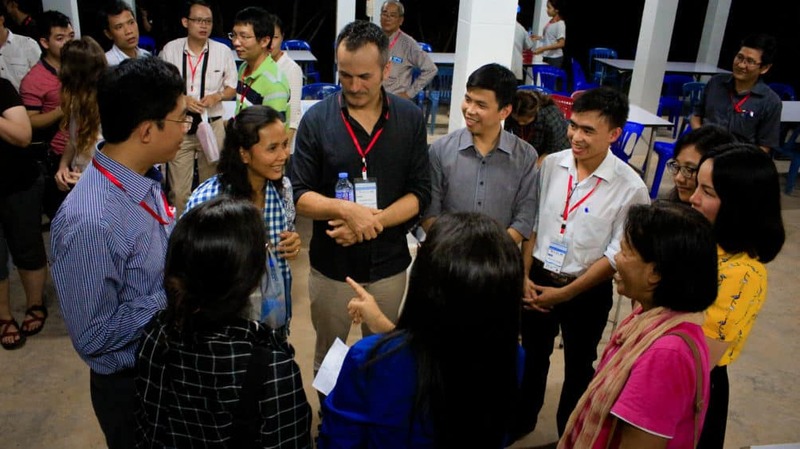 Download the new publication, Mekong, Salween and Red Rivers: Sharing Knowledge and Perspectives Across Borders, written by fellows from MK31, 32 and 33. 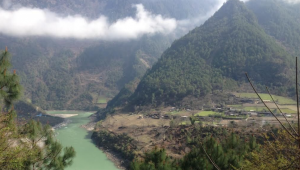 This project will strengthen the capacity for undertaking research and policy engagement of scholars and practitioners of water, land and energy use, management and governance in the Salween Basin. A particular cross-cutting focus of the project is research on gender and other forms of social marginalization. It also intends to build a learning community amongst these scholars and practitioners, and link them with similar initiatives in the Ayeyarwady, Mekong and Red River basins. The project will achieve this through a 16-month mentored fellowship program for 12 research fellows. 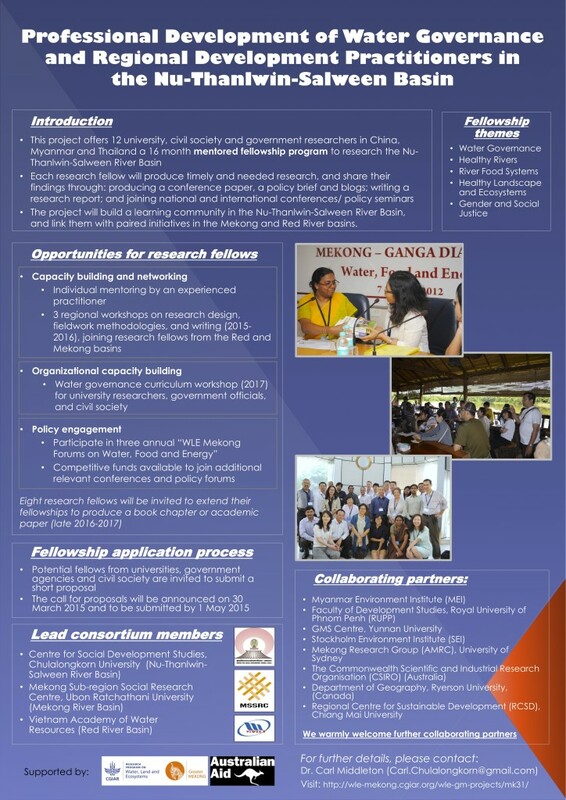 Each research fellow will produce timely and needed research, and share their findings with government officials, researchers, civil society, community representatives and the private sector relevant to their particular research project including through producing a conference paper, a policy brief and two blogs, and joining a policy-relevant international conference or seminar. 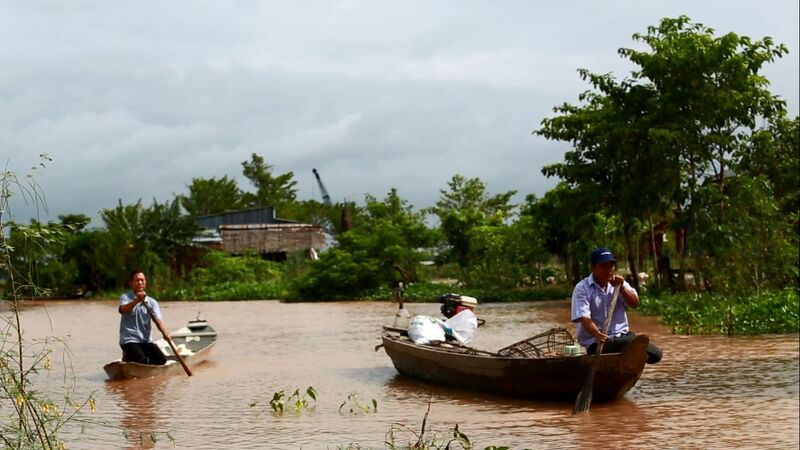 A new set of policy briefs are being produced by the MK31 fellows on a range of topics from women’s rights and hydropower development, to ecotourism and the environmental impacts of development. Read more.